January 26, 2017 The WWE PodcastLeave a Comment on MM Ep 186 – Official 2017 Royal Rumble Predictions – Huge Heel Turn Coming? MM Ep 186 – Official 2017 Royal Rumble Predictions – Huge Heel Turn Coming? November 3, 2016 The WWE PodcastLeave a Comment on MM Ep 174 – WWE Weekly Wrap-Up: Raw & SD Live Review & Official Undertaker Return Date! MM Ep 174 – WWE Weekly Wrap-Up: Raw & SD Live Review & Official Undertaker Return Date! February 21, 2016 The WWE PodcastLeave a Comment on MM Ep 105: Fast Lane Pre-Show, Huge Swerve For Main Event? MM Ep 105: Fast Lane Pre-Show, Huge Swerve For Main Event? February 5, 2016 February 5, 2016 The WWE PodcastLeave a Comment on MM Ep 99: How to Keep Fitness FUN & HUGE Contest Details! MM Ep 99: How to Keep Fitness FUN & HUGE Contest Details! December 22, 2015 The WWE PodcastLeave a Comment on MM EP 84: Slammy Awards & Rollins Returns! MM EP 84: Slammy Awards & Rollins Returns! December 17, 2015 December 17, 2015 The WWE PodcastLeave a Comment on MM Ep 83: I’m BACK! Lets Talk Raw, TLC & Fitness! MM Ep 83: I’m BACK! Lets Talk Raw, TLC & Fitness! 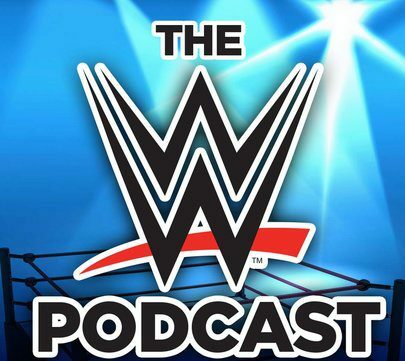 November 18, 2015 The WWE PodcastLeave a Comment on MM Ep 80 – Survivor Series Predictions – Who Turns Heel? MM Ep 80 – Survivor Series Predictions – Who Turns Heel?